The £2 million (€2.26 million), five-year collaboration will involve the university’s researchers working with ORE Catapult’s innovation team on research and innovation projects to improve O&M at offshore wind farms. Their first task will be to develop feasibility studies and define a roadmap for research and development, the partners said. Dr David Richards, pro vice chancellor for research and enterprise for the University of Hull said that the recent drop in price of electricity generation from UK offshore wind showed that the industry was a core part of the country’s energy mix. He added: "Research and innovation in operations and maintenance are essential to maintaining the UK’s position as a global leader in offshore wind, and this new centre of excellence will be key to establishing an anchor for the industry as a whole." The new centre will be situated at the University of Hull in the Humber region in the north east of England, a focal point for the UK’s offshore sector. Siemens Gamesa Renewable Energy (SGRE) opened a blade factory in Hull last December and Dong Energy (soon to be rebranded as Ørsted) will use the region as its O&M base as its builds its 1,386MW Hornsea Project Two. Chris Hill, ORE Catapult’s operational performance director, said: "The east coast, and particularly the Humber estuary, has extensive experience of servicing offshore wind farms. 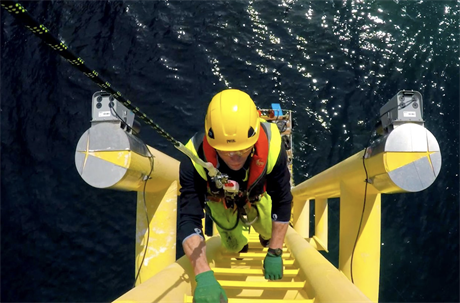 "That experience is invaluable as we look to build expertise and a local supply chain, establishing the region as a real centre of excellence that can service UK offshore wind farms as well as exporting to the fast-growing international market." Earlier this year, ORE Catapult embarked upon a five-year, £2.3 million (€2.6 million) research partnershipwith the University of Bristol to look at building blades for the 13-15MW turbine generation. Meanwhile, the University of Hull, as well as the universities of Sheffield and Durham, the UK’s engineering and physical sciences research council and Dong and SGRE, funded a programme to advance technological progress and cut the costs of offshore wind.